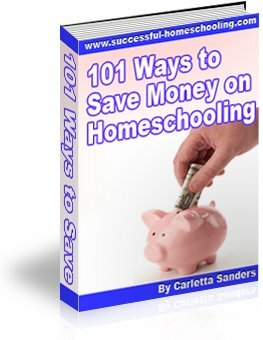 Are you looking for information about homeschool record keeping? Homeschoolers may keep records in order to comply with state requirements, provide work samples to colleges or future employers, show friends and relatives what children have accomplished, preserve memories of their school years, and evaluate their children's progress from year to year. Before deciding on a record-keeping system, determine your purpose for keeping records. If you are looking to comply with your state's homeschool laws, make sure you know exactly what your state requires. Your state may require you to submit a course of study, test results, health and immunization records, attendance records or a portfolio of work samples. Here is some additional information about homeschooling requirements, along with links to your state's homeschool laws. Keeping records is easy if you follow the KISS method - Keep it So Simple! If you are homeschooling more than one child, create a separate file folder or keepsake box for each child's documents and records, and add to it throughout the year. Here are some homeschool record keeping systems you may want to consider, along with some printable recordkeeping forms. Calendar - Make notes about your child's daily activities on a pocket calendar, desk calendar or wall calendar. Recording school days on a calendar is probably the easiest way to keep attendance and activity records. Daily Log - Keeping a daily log will allow you to make more detailed notes about what your child accomplishes in each subject from day-to-day. For example, if your child wrote a thank you note to his grandma, played Scrabble, and read for 30 minutes one morning, you would list those activities in the Language Arts category for that day. Follow this link to download a printable daily log. You can edit the date and subject categories on this form. Follow this link to download a printable weekly log. You can edit the name and date on this form. Course of Study - A course of study is homeschool record keeping form that lists subjects you have studied and the materials you used. Here are two printable course of study forms, along with a printable reading log. You can edit the subject headings on these forms and fill them out on your computer, or print them and fill them out by hand. Journal - At the end of each day, make notes in a journal or spiral notebook about books your child read, completed assignments, educational activities and other accomplishments. Remember to date each entry. Follow this link to download journal pages you can print and place in a 3-ring notebook. Report Cards - If you have decided to give your children grades, you may want to prepare report cards at six-week or quarterly intervals. Here are several homeschool report card forms you can use. Homeschool Report Card - This homeschool record keeping form contains a place where you can insert an image of your child, and list grades and comments for each subject. Comprehensive Homeschool Report Card - This form for home school recordkeeping allows you to place grades for each subject for six 6-week periods all on one page. Achievement-Based Report Card - This homeschool report card allows you to list your child's achievements for each quarter so you can record your student's progress without using grades. Remember, in a homeschool environment, education is not limited to traditional school assignments. When keeping records and recording your child's accomplishments, make sure to include activities like reading, games, letter writing, field trips, art, building models, discussions, educational television programs, and everyday learning activities like cooking and budgeting. Homeschool portfolios are collections of documents and work samples you can use to demonstrate your child's accomplishments for the quarter, semester or school year. Here's some information that will help you create a homeschool portfolio, including more printable forms for use in your home. Do you need to prepare transcripts for your high school student? Follow this link to learn how to prepare official homeschool transcripts!